Ty represents individuals, banks and trust companies in estate and trust matters. 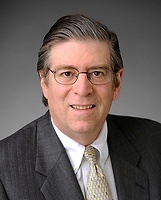 His work involves sophisticated tax planning in the estate and gift tax and fiduciary income tax areas, including litigating those issues on behalf of his clients. Before joining Sullivan & Worcester, Ty was a partner with Dewey & LeBoeuf LLP.